With a bluesy voice and psychedelic look, Janis Joplin was unlike any other singer during the 1960s. When she broke out onto the scene in the band Big Brother and the Holding Company, she was dubbed, "probably the most powerful singer to emerge from the white rock movement." The only female member of the 27 club, Joplin had a distinctive sound and look. She wore beads, braids, and feathers in her hair, in addition to the stacks of bracelets, fur hats, and crocheted vests that she wore routinely. She has been the subject of several infamous movie projects that have never come about for one reason or another, the most recent of these attempted biopics was one that would have Zooey Deschanel as Joplin. Born and raised in rural Port Arthur, Texas, Janis didn't subscribe to the typical Southern belle mold and felt like an outcast among her classmates. She socialized mostly with a group of fellow outcasts, ones who painted, read Beat poetry, and supported civil rights. While living in Texas, she discovered her love of jazz, folk, and especially the blues. Modelling her self after beat writers and blues singers, after high school Janis moved across the country - from North Beach in California to the Village in New York before ending up in Austin, Texas, where she would attend university and gained popularity for her distinct singing voice. 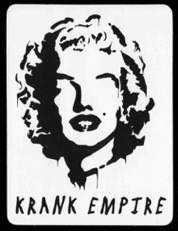 Still influenced by the lifestyles of the beats, she experimented with alcohol and drugs, particularly speed and heroin. This led her back to Port Arthur for a year to reevaluate her life. She enrolled in college where she excelled, began to dress modestly, and swore off alcohol and drugs. But she was far from contented to spend her life in little Port Arthur so when she was offered to sing for the San Francisco-based band Big Brother and the Holding Company, Joplin jumped at the opportunity, despite he fears that music might lead her back to drugs. Big Brother became very popular in and around the San Fran area for their psychedelic rock brand of music, really breaking out at the 1967 Monterey International Pop Festival. After being signed to Bob Dylan's manager Albert Grossman, Big Brother signed a record contract with Columbia Records, releasing their biggest hit album Cheap Thrills the next summer. The group was now huge, and Janis being an integral part of the band's success, the billing was changed to Janis Joplin with the Big Brother and the Holding Company. But as their success grew, so did temptations for Janis to return to drug using. By December of 1968, Janis left Big Brother and formed the blues-based band the Kozmic Blues Band, releasing the album I Got Dem 'Ol Kozmic Blues Again, Mama in late 1969. While the new sound was greeted with enthusiasm, increased drug and alcohol use within the band caused as many problems as it caused artistic creativity. 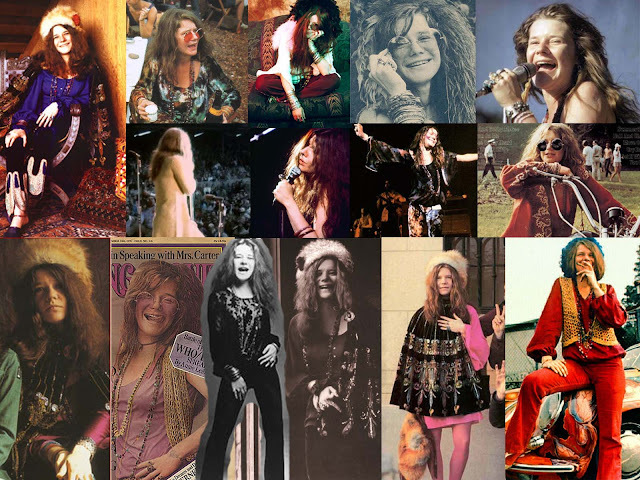 Janis then started another band, the Full Tilt Boogie Band, a white-blues sound, and quit drugs. Never happier with her sound or her lifestyle, while recording the album Pearl, Janis tried using heroin just once more. She accidentally overdosed in her Los Angeles motel at the age of 27 on October 4, 1970. The last known recording of Janis singing was a voice message she left on John Lennon's answering machine of her singing him Happy Trails for him for his birthday.